Shia LaBeouf rips off Daniel Clowes: A New Level of Plagiarism is Reached! Finally some Buzzfeed content that is actually worth sharing! In case you haven’t heard Shia LaBeouf is in hell right now, and it appears he’s ended up there because of an insatiable desire to plagiarize people smarter than him. I’m actually suspicious it’s all part of a performance piece or something because it’s way too funny to be real. Ok so, earlier this year Shia LaBeouf dropped out of Daniel Sullivan’s production of “Orphans” and used his Twitter to share a screenshot of his apology email to his co-star Alec Baldwin. The email contained what appears to be a heartfelt message. The Internet went nuts, when Gawker revealed that his apology was completely copied from an Esquire article in their “How to Be a Man” Issue, from 2009. Flash forward to Monday of this week. 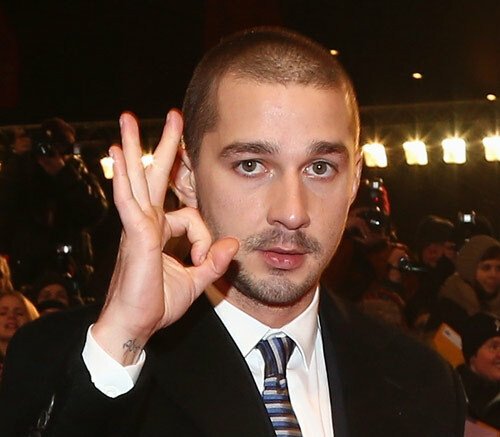 Shia LaBeouf posted his film “HowardCantour.com” online and the Internet exploded with controversy. It appeared the film was a complete rip-off of famed cartoonist Daniel Clowes’ comic “Justin M. Damiano”. The film, starring Jim Gaffigan as a film critic, contains characters and huge sections of narration lifted directly off the pages of Clowes’ story. You can watch the film and see panels from Clowes’ comic here. Daniel Clowes is now pursuing legal action (as he should). I still can’t believe this is real, it’s too amazing.